Stonebridge Life had a good year in 2011 as their excellent ratings indicate. In financial strength, A. M. Best rates Stonebridge, superior, A+. Moody’s A1 rating is good, and Fitch and Standard & Poor’s both rate Stonebridge as AA-, or very strong. Stonebridge Life has enjoyed a special relationship with retail giant JC Penney since 1967. Stonebridge provides insurance services to more than 1.7 million JC Penny customers. Through the retailer’s direct marketing program, Stonebridge supplies life and supplemental health products as well as credit insurance on JC Penney credit card and other installment purchases. 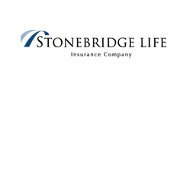 Stonebridge Life makes it easy for potential customers to get a life insurance quote online. They also promise that no one will call you. Just enter you age, gender, state of residence and type of coverage; it’s that easy. In moments, you will receive an accurate dollar quote for life insurance. Policy choices include 10-year term, term coverage to the age of 70 or juvenile term insurance, for minors under the age of 18. Not all products are available in all states. Stonebridge Life offers a free 30-day guarantee. If you’re not satisfied with the policy after you’ve received it, return it during the first 30 days and receive a full premium refund. If you’d rather apply for a policy by phone, call toll free, 800-527-9027. Stonebridge offers an accidental death policy that is so affordable; rates are posted right on the webpage! Just $.43 per day, which works out to only $12.95 a month, buys a full $50,000 in coverage. For only $.24 more, a spouse may be added to the policy. That’s just $19.95 each month for both, and coverage is guaranteed! Next, Stonebridge offers extended hospital coverage to help cover costs that regular health coverage will not cover. This indemnity program will cover up to $400 per day, $200 per day for ICU, burn care, or a general hospital stay. For those 18 years of age to age 64, coverage is guaranteed! There are three available dental plans depending primarily on the budget and lifestyle of the insured. The first option is a basic plan, which generally covers 100% of preventive services and 50% of other qualified dental services. The second plan covers 50% of these services across the board. A third plan is available for those who need immediate dental attention. Free quotes are available right on the website. Remember, not all plans are available in all states. Discounts for members range from 10% to 60% depending on the item purchased or service provided. Another discount program in this Stonebridge series is LeisurePlus, which offers discounts on travel by air, sea and land, and entertainment venues including theaters, parks, and restaurants across the country. Stonebridge offers a motorist assistance program marketed under the trade name, “MotorPlus,” which includes 24-hour roadside service and 30% discounts on rental vehicles and lodging.